Directed by Orson Welles, Touch of Evil is a film noir masterpiece whose Hollywood backstory is as unforgettable as the movie itself. Starring Charlton Heston, Janet Leigh and Orson Welles, this dark portrait of corruption and morally compromised obsessions tells the story of a crooked police chief who frames a Mexican youth as part of an intricate criminal plot. Featuring three versions of the film – the Preview version, the Theatrical version and the Reconstructed version based on Orson Welles’ original vision, Touch of Evil is a “a stylistic masterpiece!” (Leonard Maltin’s Classic Movie Guide) that stands the test of time. It's ironic that Universal released both "Double Indemnity"(1944) and "Touch of Evil"(1958) on the same day last week because the former is considered the first of the great film noir films while the latter is considered one of the last of this unique film genre. That's the way it should be as these two great films compliment each other and are the perfect bookends to all the film noir films that came in-between these years. "Double indemnity" is considered a classic of the film noir genre but the same could not be said for "Touch of Evil" when it first came out in 1958. What Universal released to theaters in that year was not the version that Orson Welles conceived. He wrote a 58 page memo to the studio(which is included as a booklet with this new Blu-ray) suggesting that changes be made to make the story flow better. His requests were pretty much ignored and he never made another film in Hollywood. In 1998, film historian Rick Schmidlin found the memo and persuaded Universal to fund a restoration. Re-released in 1998, "Touch of Evil" is now considered a classic and that is certainly brought out is this stunning new Blu-ray from Universal. Viewers have the option of watching all three versions of the film: the "reconstructed version"(111 minutes) from 1998, the "original theatrical version"(96 minutes) from 1958 and the "preview version"(109 minutes) from 1976. This Blu-ray review is for the "reconstructed version" and it looks absolutely glorious on Blu-ray. Welles was notorious for using deep focus photography in the films he directed and he worked with great cinematographers over the years. Russell Metty was the cinematographer for "Touch of Evil" and although filmed in black and white, details are more prominent now than they were in the standard DVD, especially in the close-ups. The story is complicated and it may take more than one viewing to understand what's going on, but it has all the elements of classic film noir including murder, betrayal, and above all corruption. It might not be to everyone's liking but after repeated viewings it grows on you. Metty's nighttime shots of the Mexican border-town (actually Venice, Calif.) are given new life on Blu-ray. Blacks, grays and whites are balanced throughout and shadows(there are lots of them) are more prominent. In addition to the main stars(Charlton Heston, Janet Leigh and Orson Welles)who give great performances, the supporting players give exceptional performances as well including Akim Tamiroff, Joseph Calleia, Dennis Weaver and the great Marlene Dietrich who has the best lines in the film. Joseph Cotton and Mercedes McCambridge even show up in un-credited roles. The audio has been improved also with dialogue being easily understood even when the actors are speaking at the same time. "Touch of Evil" contains the following subtitles: English SDH, French and Spanish. Audio includes: English DTS HD Master Audio 2.0 Mono, English Dolby Digital 2.0. In addition to the three versions of the film, bonus features include two documentaries and four commentaries. The packaging for this new Blu-ray presentation is different too. "Touch of Evil" comes in a solid standard Blu-ray case(not one of the eco-cutout cases) which is housed in a nice slipcase for added protection. Although it might not rank with "Double Indemnity" as classic film noir, "Touch of Evil" certainly comes close in this new Blu-ray from Universal. It should be essential to any film collectors library and comes highly recommended. "Touch of Evil" is simply a masterpiece of film noir from Orson Welles, seen here uncut and restored in the way Welles intended it to be seen. 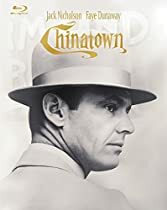 This film features outstanding performances from Welles as Hank Quinlan, an amoral police chief and Charlton Heston as Ramon Miguel 'Mike' Vargas, an upright Mexican narcotics detective who clashes with Quinlan. Janet Leigh plays Susan, Heston's wife, to great effect, meddling where she shouldn't and getting caught up in a complex web of criminality and deceit. Small but effective performances from Zsa Zsa Gabor (!) and Marlene Dietrich round out the cast; there is not a substandard performance in the mix. The lighting and direction are particularly noteworthy here and the extras include Welles' production notes, a great addition. Some of the editing and camera work hints at surrealism, but it's very cohesive when viewed as a whole. Welles borders on going over the top in his characterization of the seedy Quinlan on occasion, while Heston is restrained in comparison. For those who believe that Heston wasn't up to the task of playing a subtly nuanced Mexican lawman, I ask you to watch the film first, as this role was surely one of the finest of his career. From the great performances, inspired direction and editing, and sordid plot of underworld intrigue, to the perfectly disturbing score by Henry Mancini, "Touch of Evil" should be seen by anyone who truly appreciates film. TOUCH OF EVIL  [Limited Edition] [Blu-ray + Digital HD with UltraViolet] A Stylistic Masterpiece! Directed by Orson Welles, ‘Touch of Evil’ is a film noir masterpiece whose Hollywood backstory is as unforgettable as the movie itself. Starring Charlton Heston, Janet Leigh and Orson Welles, this dark portrait of corruption and morally compromised obsessions tells the story of a crooked police chief who frames a Mexican youth as part of an intricate criminal plot. Featuring three versions of the film – the Preview Version, the Theatrical Version and the Reconstructed Version based on Orson Welles’ original vision, Touch of Evil is a “a stylistic masterpiece!” (Leonard Maltin’s Classic Movie Guide) that stands the test of time. FILM FACT: The film opens with a three-minute, twenty-second tracking shot widely considered by critics as one of the greatest long takes in cinema history. In 1993, ‘Touch of Evil’ was selected for preservation in the United States National Film Registry by the Library of Congress as being "culturally, historically, or aesthetically significant". Andrew’s Blu-ray Review: Honeymooning with American wife Susan Vargas [Janet Leigh] in the frontier town of Los Robles, Mexican special narcotics investigator Mike Vargas [Charlton Heston] finds business interrupting pleasure when a car bomb kills the town's boss. Required to investigate, Vargas finds himself up against Hank Quinlan [Orson Welles], a local detective with a reputation for getting his man by fair means or foul. Resentful of Mike Vargas' authority in the case, Hank Quinlan decides to tamper with evidence to ensure that a perpetrator is found. What's more, Hank Quinlan leans on local racketeer Joe Grandi, to ensure that Mike and Susan's stay in Los Robles is a most unpleasant one. Orson Welles' glorious, if temporary, return to the Hollywood fray after years of studio neglect is one of his richest and most rewarding pictures. Adapted by Orson Welles himself, from a shelved Paul Monash script based on a minor novel by Whit Masterson (which Orson Welles famously never read), it's a supremely confident and stylish work. From the legendary opening tracking shot, still technically mesmerising with Russell Metty's black and white photography creates a strange chiaroscuro, noir landscape (though a straggler of the genre, the film stands as one of its finest entries) in which is quintessential Orson Wellesian themes of evil, corruption, and moral ambiguity loom large. Orson Welles further evaded studio control by shooting much of the picture on location. He had originally asked to make the film in Tijuana, but the executives had feared that was too far from Hollywood for them to call the shots. Instead, he proposed shooting in Venice, California, for a few days. Once he got there, however, he settled in for most of the remaining shoot. By then, the executives were thrilled with each day's rushes, so they pretty much left him alone. Throughout filming, Orson Welles tweaked the script to get each scene just right. Usually he started his re-writes as soon as the day's (or night's) shooting was done and finished his re-writing in time for the next day's work. Nobody could tell when he was sleeping. The most famous sequence in ‘Touch of Evil’ was the lengthy tracking shot that opens the film. The three-minute-plus shot opens with an unseen figure planting a bomb in a car, follows the car through the border town's streets, picks up Heston and wife Janet Leigh as they cross the border and ends as they kiss, and the bomb explodes off-screen. Welles spent an entire night getting the shot just right. When the customs officer questioning Heston and Leigh kept flubbing his lines, Welles told him to mouth the words. They could dub the right lines in later. They finally got the shot at the last possible moment - the sky was just turning pink in the east. A fine cast more than match the coruscating material: Charlton Heston untypically restrained in Mexican garb strikes the right note of outrage in the face of judicial perversion and there is fine support not only from Janet Leigh but strong contributions from Marlene Dietrich, a young Dennis Weaver, and Joseph Celleia as Hank Quinlan's devoted partner. Orson Welles however towers over the proceedings, on-screen and off. Hank Quinlan is a grotesque, hauntingly recognisable creation, embittered by the past and forever doomed to seek former glories and is totally masterful! Although ‘Touch of Evil’ was largely neglected in the U.S., the picture's European release was met with critical raves. It even won Best Picture at the Brussels Film Festival. That didn't change any minds at Universal, where the film was written off as a loss. But over the years, ‘Touch of Evil’ continued to find its audience through television and film society screenings which eventually sparked an interest among several of the film's admirers to restore it. The process began in the early 70s when Robert Epstein of the UCLA Film and Television requested a print to show at UCLA for the studio. When the film was screened it ran 108 min. and he believed he found Welles' lost cut; this was reported in The Hollywood Reporter at the time. But this was only a preview cut with many shots that Welles did not direct. A real turning point came in 1992: producer Rick Schmidlin read an article in Film Quarterly by Jonathan Rosenbaum that used excerpts from a 1957 memo Orson Welles wrote to studio chief Edward Muhl offering editing suggestions for Touch of Evil. As producer Rick Schmidlin brought in Oscar® winning editor Walter Murch who had just won two Academy Awards for ‘The English Patient’ and Orson Welles scholar Jonathan Rosenbaum as consultant to help construct the current 111 minute version. Blu-ray Video Quality – ‘Touch of Evil’ is presented in an aspect ratio 1.85:1 with a stunning 1080p encoded black-and-white image that provides an extremely satisfying high definition picture. Grain is visible along with plenty of detail. Watching this edition offers an experience as close as one can imagine to sitting in a film cinema watching the film being projected. I should note that there are two different transfers to see here. One is for the 1998 Reconstruction, which is radically different throughout the film and would never be able to be seamlessly branched from the others. The second transfer is for both the Theatrical Release version and the longer Preview Version, which simply adds another 13 minutes of footage. Given the two transfers, you may see minor differences here and there as some viewers have noted in various forums. Without getting into the endless discussions of various people’s opinions about the aspect ratio, we understand that this is the proper aspect ratio in which to view the film. 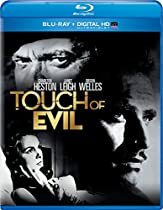 Blu-ray Audio Quality – ‘Touch of Evil’ gets an English 2.0 DTS-HD Master Audio Mono mix, for all three versions that presents the dialogue clearly and, in the case of the restored version, provides a variety of music and sound effects at easily discernible levels. This isn’t a surround mix, of course, but it definitely gets the job done in presenting both the words and the world of the film. Orson Welles’ Legendary 58 page booklet ‘Touch of Evil’ Memo To The Universal Studio. Dated 5th December 1957. Digitally Re-mastered and Fully Restored from High Resolution 35mm Original Film Element. 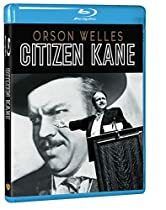 Reconstructed 1998 Film Version: Re-edited in 1998, this definitive cut of the film is reconstructed to Orson Welles’ original version based on the 58 page Memo to the studio. With additional information we find out that in 1957, Orson Welles completed principal photography on ‘Touch of Evil’ and edited the first cut. Upon screening the film, the Studio felt it could be improved, shot additional scenes and re-edited it. Orson Welles viewed this new version and within hours a passionate 58 page Memo requesting editorial changes. This particular film version represents and attempt to honour those requests and make ‘Touch of Evil’ the film Orson Welles envisioned it to be, and stated that, “I close this Memo with a very earnest plea that you consent to this brief visual pattern to which I gave so many long hard day’s work.” – Orson Welles. Theatrical 1958 Film Version: This version of the film was seen by the U.S. audiences when it was released in cinemas in 1958. 1976 Preview Film Version: Created prior to the cinema version, this cut of the film incorporates some of Orson Welles’ requests and was re-discovered by Universal Pictures in 1976. Audio Commentary: Reconstructed 1998 Version Commentary with Charlton Heston, Janet Leigh, and Reconstruction Producer Rick Schmidlin: The two stars of the film share their memories of working with Welles, while Rick Schmidlin alternates between pointing out specific changes and prompting the actors with questions about their experience. Some of the stories from Charlton Heston and Janet Leigh are repeated in the two documentaries, but with their memories prodded by Rick Schmidlin, they relate additional detail that makes this track especially totally informative and entertaining. On top of all that it is to my mind the definite audio commentary out of the all the audio commentaries to listen to. Audio Commentary: Reconstructed 1998 Version Commentary with Reconstruction Producer Rick Schmidlin: In his solo commentary, Rick Schmidlin recounts in great detail the lengthy history of his efforts to interest Universal Studio in reconstructing the film in accordance with Orson Welles's Memo and his subsequent work with Editor Walter Murch on the 1998 reconstruction version. This is also a total bonus, as Rick Schmidlin gives us so much more information about his involvement with the Reconstructed 1998 Version audio and being solo without Charlton Heston and Janet Leigh in the studio with him, he is able to really get into a full flow of fascinating information. Again this is a real tour-de-force audio commentary not to be missed. Audio Commentary: Theatrical 1958 Version Commentary with Writer/Filmmaker F.X. Feeney: You get to hear that F.X. Feeney is a massive long-time [obsessed] fan of the Theatrical 1958 Version, even as initially released. F.X. Feeney is an ideal guide to its themes, nuances and visual strategies of this 96 minutes film version. Although he notes various plot holes that are addressed in the Reconstructed Version, he tries to make a respectable case for the efficacy of the 1958 Theatrical Version. But to me it is my least favourite version, as far too much was edited out of the 1958 version and is a very disjointed presentation and you lose the plot, as there are too many holes. Audio Commentary: 1976 Preview Version Commentary with Orson Welles Historians Jonathan Rosenbaum and James Naremore: This is also a very informative audio commentary by two massive fans of the film, but despite it provides very little information about the Preview Version itself or any comparison between it and the 1958 Theatrical Version. Instead, the two commentators focus the film's themes and Orson Welles's underlying concerns, subjects they are uniquely qualified to address. But despite this, it is a must hear audio commentary and will keep you totally entertained and amused by all their comments throughout this 1976 Preview Film Version. Feature Documentary: Evil Lost and Found  [480i] [4:3] [17:04] With this behind-the-scene documentary with a look at the reconstruction of ‘Touch of Evil’ and the 3 versions of the film. This is a continuation of the above documentary “Bringing Evil To Life” and features Janet leigh [Susan Vargas]; Bob O’Neil [Picture Restoration]; Charlton Heston [Ramon Miguel (Mike) Vargas]; Rick Schmidlin [Producer of Editorial Change]; Peter Bogdanovich [Filmmaker]; Jonathan Rosenbaum [Consultant]; Walter Murch [Editor]; George Lucas [Filmmaker]; Curtis Hanson [Filmmaker] and Robert Wise [Filmmaker]. This feature discusses the work done by Walter Murch with Rick Schmidlin, Jonathan Rosenbaum and others to follow the Welles’ memo in re-editing the film. There is some repetition with the first featurette, but this is still all helpful material. But with this particular documentary, at the end we get a personal video tour with Curtis Hanson, who is in Windward Pacific in Venice California and points out the specific building locations used in the Orson Welles ‘Touch of Evil’ to give the impression that we was at a specific Mexican Border Town. We are also informed that the town was built and developed by Abbot Kinney (1850 – 1920) and when oil was discovered, the place finally fell into disrepair. This is a brilliant extra bonus to this specific Evil Lost and Found documentary. A must view. Theatrical Trailer: This is the Original Trailer for ‘Touch of Evil’  [480i] [4:3] [2:08] This is of very bad quality and such a shame they could not of found a more pristine copy and especially in the original 1.85:1 aspect ratio. Finally, Orson Welles' 'Touch of Evil' is a genuinely remarkable motion picture that displays one stroke of cinematic genius after another, a brilliant piece of work with an interesting backstory to match. 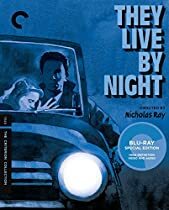 Starring Charlton Heston, Janet Leigh, and Orson Welles, the crime thriller is a deliciously lurid tale of corruption, murder, and the morally compromised, which still stands as a stunning, stylized noir masterpiece. The Blu-ray arrives with spectacular picture, strong audio and satisfying bonus features. All in all, this is a classic masterpiece that rightly belongs in any respectable cinephile's ultimate collection. But one interesting fact I want to bring to your attention and in all the Audio Commentaries, is that they are stunned by Marlene Dietrich performances and how the actors would kill to be in the film with her. But they also love Marlene Dietrich classic comment to Orson Welles in saying, "Your future is all used up," plus the final scene at the end of the film when Marlene Dietrich turns round and says, “Adios.” Highly Recommended!